For my final project I wanted to create a application that generates and visualizes sound. There are three different ways you can bring sound into the application. The first is from the computers Mic-In port. If the computer has a built microphone this input will automatically be on when you start the application. The second input is a sound file. 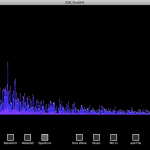 One can load their own sound file to analyze and view. 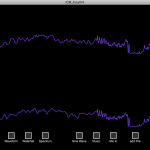 The third input is the sine wave generator built into the application. 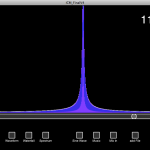 The application is capable of generating a sine wave from 1 Hz to 22,000 Hz. It just occurred to me that this application is capable of generating damaging sound waves… I promise to use it only for good. There are 3 different ways you can look at the sound waves. 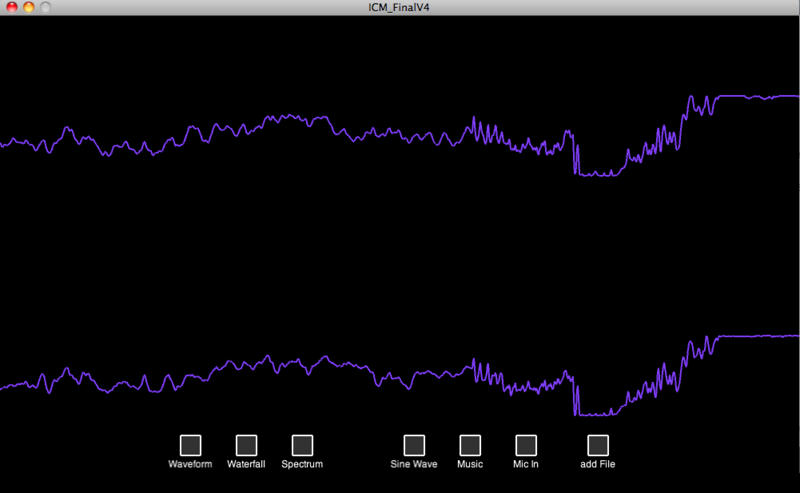 The first is Waveform, this shows what the actual sound wave looks like or if you choose the mic and music input, then it will show the combined sound waves. 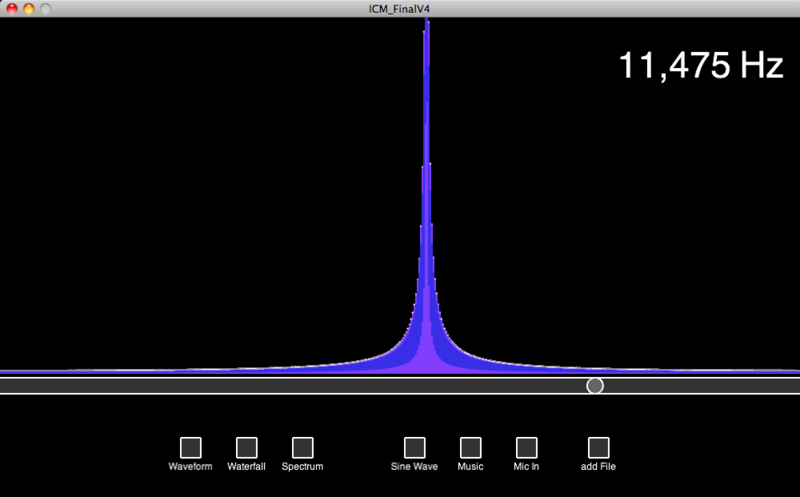 The second view is Spectrum, this separates the individual sound waves into their respective frequencies. 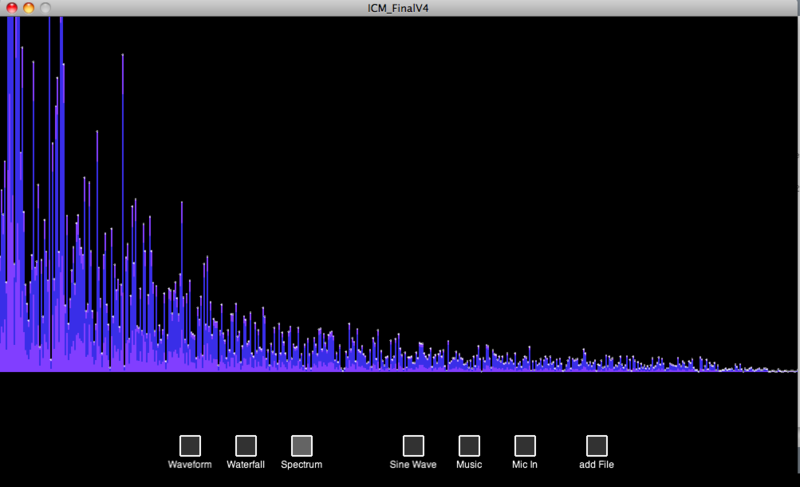 In Spectrum, you can see each frequency and their volume level. 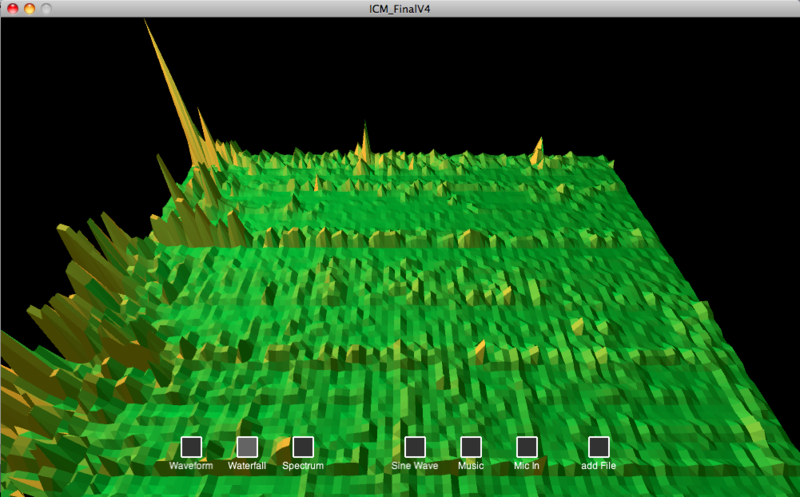 The third view is Waterfall, much like the Spectrum view this view shows the individual frequencies but Waterfall shows them in 3D and over time. I am very pleased with how this project turned out. I have yet to find a application like this for the OS X and now I finally have one. Psychoacoustic is passion of my and now I have a tool to demonstrate all of the many aspects of sound. 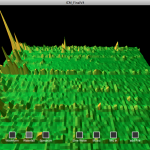 Incidentally, I think I used almost every function of Processing in creating is application. I am happy to report I worked out all remaining bugs and the program runs great!